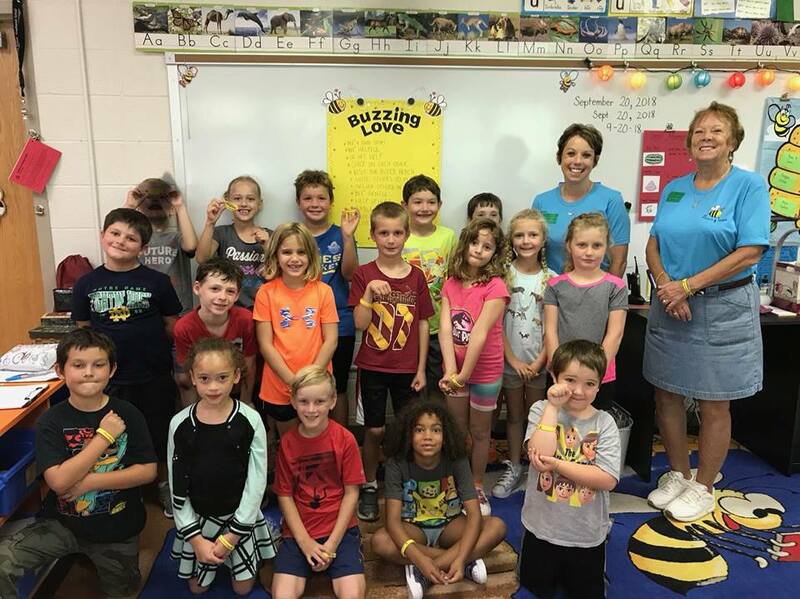 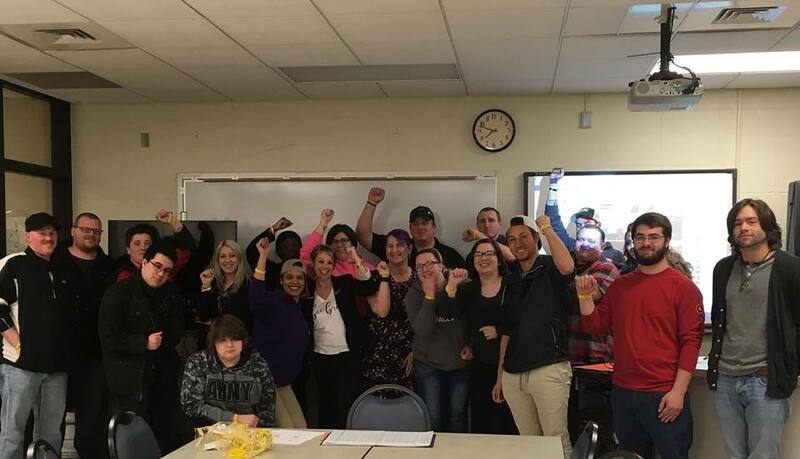 Buzzing Love has had some incredible opportunities to buzz love, kindness and inspiration at elementary schools and college classes in Missouri and Illinois! 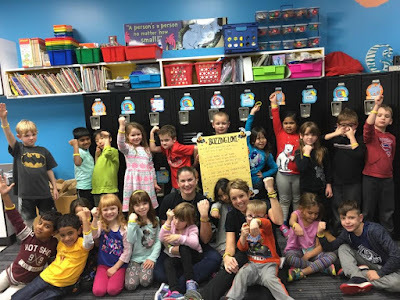 We've had an amazing experience at each of these places, and we are so grateful for these opportunities! When we take Buzzing Love to elementary schools, we read a story called "The Horsefly and the Honeybee," a book about an unlikely friendship between a horsefly and a honeybee who learn to work together and be kind to one another despite their differences. 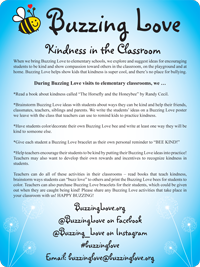 We also brainstorm Buzzing Love ideas with the students about ways they can be kind and help their friends, classmates, teachers, siblings and parents! 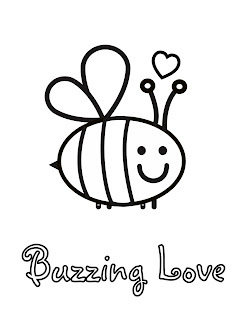 Then we wrap up with what seems to be the favorite activity – everyone gets a Buzzing Love "BEE KIND" bracelet and a chance to color our Buzzing Love bumble bee! 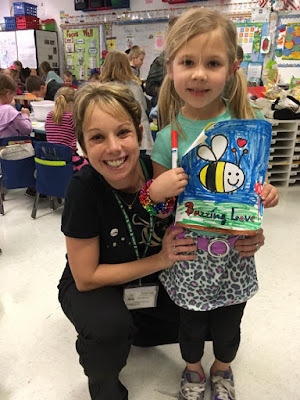 It's so much fun! 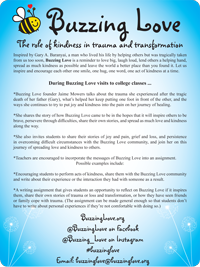 During visits to college classes, Buzzing Love founder Jaime Mowers talks about the pain of losing her dad, what's helped her keep putting one foot in front of the other, and the ways she continues to try to put joy and kindness into the pain on this never-ending journey of healing. Jaime shares the story of how Buzzing Love came to be in the hopes that it will inspire others to be brave, share their stories, keep going, and spread as much love and kindness as possible along the way. 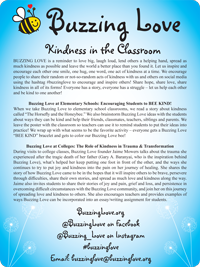 Want Buzzing Love to visit your school, classroom or organization?! 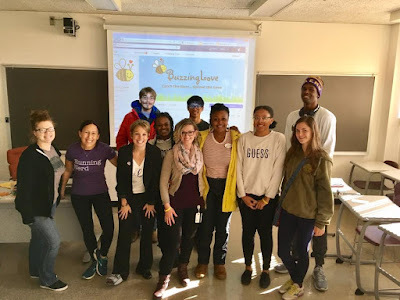 Interested in having Buzzing Love visit your school, classroom or organization?